Coverdie fra Altenew. Brukes i en stansemaskin (for eks. Big Shot) for å stanse ut eller prege/ embosse. 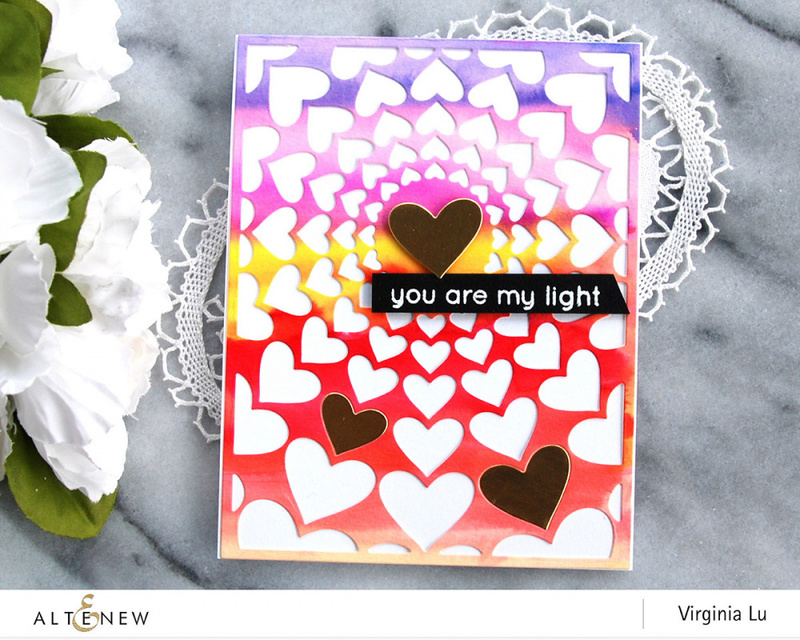 You have found the perfect cover die to bring a touch of sweetness to your projects! 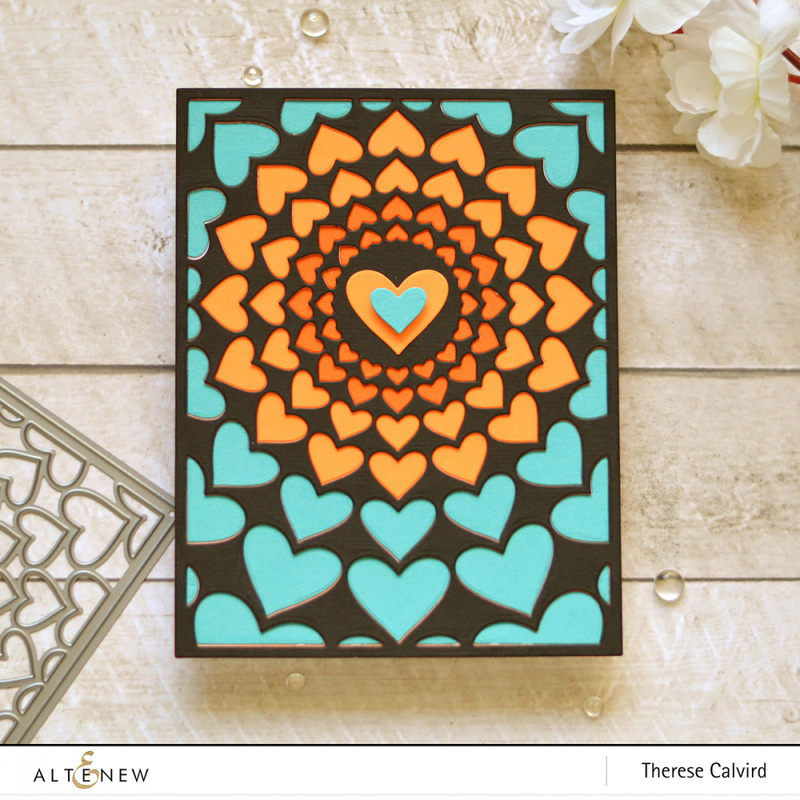 This die is sized to fit the front of an A2 card and features a collection of hearts radiating from the center. 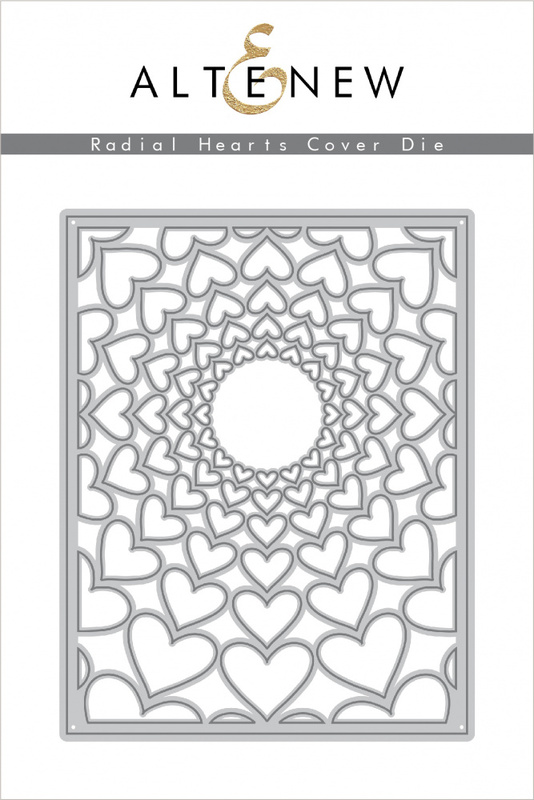 Once you cut the die, use the remaining heart cut-outs to adorn your next project! This cover die measures approximately 4.25" x 5.5".